Preheat oven to 375 degrees Fahrenheit and line two large baking sheets with aluminum foil. Place wings and drumettes about 1-inch apart on the two baking sheets and bake for 30-35 minutes until outer skin is slightly crispy and browned. In the meantime, in a large bowl, whisk together crème fraîche, oyster sauce, fish sauce, 1/4 cup of gojuchang, soy sauce, lime juice, salt, and pepper. Whisk until no clumps remain. Taste the sauce and if it is not spicy enough for you, add more. 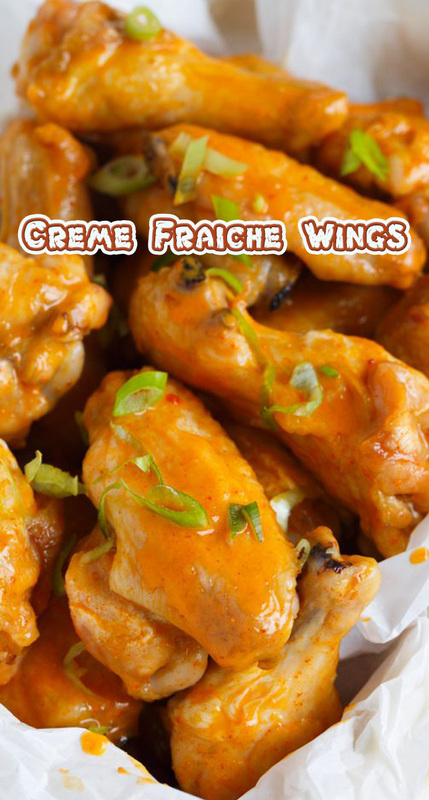 Once the wings are done, carefully toss the hot wings in the sauce mixture. Top with scallions, if desired.